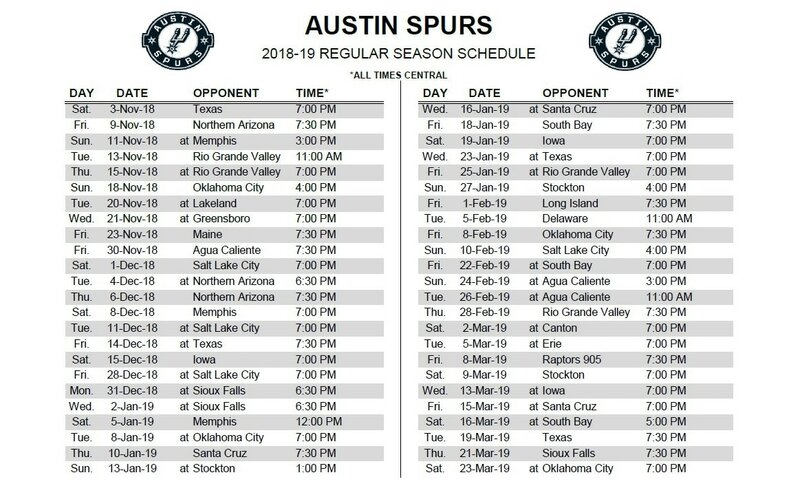 AUSTIN (Dec. 3, 2018)– The Austin Spurs, presented by SWBC, will host their annual San Antonio Spurs Affiliate Night along with their first-ever Throwback Thursday game on Thursday, Dec. 6. Tipoff against the Northern Arizona Suns is set for 7:30 p.m.
Spurs Hall of Famer George “The Iceman” Gervin will be in attendance and available for a meet and greet from 6:30 until 7:30 on the concourse. The San Antonio Spurs mascot, The Coyote, will be at the game to pump up the crowd and fans can take a photo with the 1999 San Antonio Spurs championship trophy that will be at the arena. Fans are encouraged to post photos of themselves at the game in vintage Spurs gear with the hashtag #SpursTBT for a chance to win an Austin Spurs prize pack.